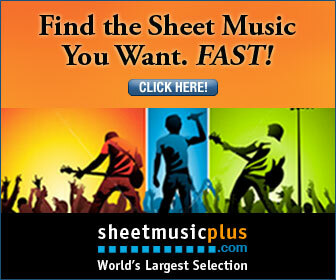 We have partnered with USA website Sheet Music Plus to give you a huge selection of Sheet music. With well over 300,000 different types of sheet music you will hopefully find what you need (if you can't find it on these sites then there is a strong chance the sheet music doesn't exist). We personally use this site when we want to get a new song to play. Please note that the prices are in US Dollars, most of these products are instant downloads, but some of them are actual books. If your music is a book please allow 3-4 weeks for shipping.